Puccini’s musical thriller of lust, murder, and politics is one of the most dramatically riveting operas in the repertoire. Luc Bondy’s production, with sets by Richard Peduzzi and costumes by Academy Award-winning designer Milena Canonero, opened the Met’s 2009–10 season. 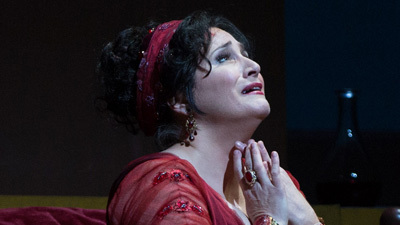 Karita Mattila stars as the beautiful and dangerously impulsive singer Floria Tosca. 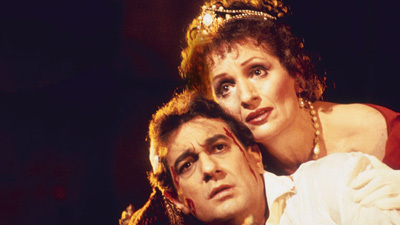 Marcelo Álvarez is her lover, the painter Cavaradossi, a political enemy of the powerful chief of police, Scarpia (George Gagnidze), who wants Tosca for himself.